Most people know the main causes of dropped calls and missing texts: distance from cellular towers, building materials, and obstructions. Did you know there are three more causes of bad cell phone reception? These things aren’t as well known, but the reception issues they cause are real enough. Here’s the good news: if you’re experiencing any of these issues, they are easy to resolve. Solid Signal is all about offering education to our blog readers. That’s why I’m happy to tell you about the three lesson-known reasons for call drops and missing text and how to fix them. Is cell service even an option anymore? I think it’s a necessity and there are more than 200 million smartphone users in America who’d probably agree. These folks have probably become so accustomed to flawless cell phone reception that they practically expect it anywhere they go. Speaking of which, did you know that AT&T has the fastest service and best coverage coast to coast? If you don’t have an AT&T wireless plan, you should strongly consider getting one. To learn more about what the communications giant has to offer, fill out the form below this post and our reps can help. You make a call and your phone connects to and communicates with the nearest cell tower. If you move, you step out of the range of the first tower. Your phone seamlessly connects to another nearby tower. You continue your call completely unaware that all this just happened. As I stated, dropped calls during handoffs are rare but they do happen. If it’s a consistent problem, you probably live or travel between two cell phone towers. Moving to another area in your home or on the road only offers a temporary solution. (Yes, I still say that moving isn’t a permanent solution for bad cell phone reception.) A cellular phone signal booster is the best way to reduce dropped calls from cell tower handoff. The device automatically communicates with the closest tower to maintain reception. … You want to know where you’ll see the most calls dropped during handoffs? When you’re traveling. This routinely takes you in and out of areas that are far from most cell towers. This is why having a vehicle cell phone booster is so important. I believe everyone who owns a cellular phone should have a cell phone booster on their vehicles. But do you need a wireless, wired, or cradle model? Do you normally have multiple passengers with their own devices? If so, the weBoost Drive 4G-X or 4G-M might be for you. If you own a truck or van, or prefer a permanent, seamless installation, you might want to consider the weBoost 4G-x Fleet. Do you own an RV and like to take it to remote locations? What you need is the Connect RV 65. Over-the-road truckers love having the weBoost Drive 4G-X OTR in their big rigs. Yes, the weather can affect your cell phone reception. These devices use radio waves, which can be affected by moisture in the air. This means you can lose reception if it’s raining or snowing outside, or there’s mist or fog in the air. It’s not just water, either. Dust particles also affect reception. That’s why you might experience connection problems on windy days where dust particles get whipped up into the air. Moisture in the air is a problem in the Northwest, Midwest, and East Coast. Folks in the Southwestern United States struggle with another weather-related issue: rising heat. We’ve all seen heat rising from the surface of the roads to distort images behind it. Well, these slithering serpents of humidity are all around in the Southwest, and they cause some serious signal refraction. This distorts the radio waves that your cell phones use, which leads to spotty reception. This is why many folks out there have cell phone boosters in their homes. If you need a boost in a 1,500 square foot area, we recommend the weBoost Home 4G. The weBoost Connect 4G enhances coverage to multiple devices in a 5,000 square foot area. If you need coverage up to 7,500 square feet, there’s always the Connect 4G-X. 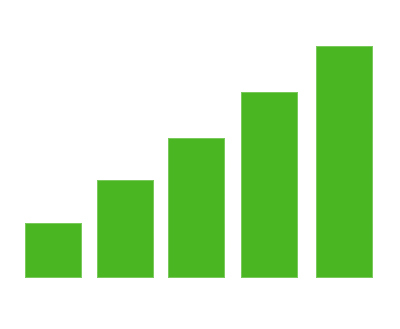 … It’s possible to have dropped calls/texts and poor reception quality even after you get a cell phone booster. Does this mean you should throw away this device? Absolutely not! The booster isn’t the problem here, it’s your cell phone. If you’re having reception issues even though you have a signal booster, there’s a good chance your phone has a broken or damaged antenna. This can plague you with poor reception, data loss, and dropped calls. Your roaming software isn’t updated. Your phone is damaged from being dropped, etc. Your cell phone battery is low. Outdated software and low battery charges are easy things to fix. A broken or damaged antenna can be trickier. If this is the case, you have two options: replace the antenna or the phone. your local cell phone store should be able to help you. Same thing if you have a newer phone that needs to be updated. If you have an older phone, such as some older model Androids, you might be carrying around a security risk. Some of these phones aren’t able to update to the latest software versions. If you’re tired of battling connection issues, get a cell phone signal booster for your home and/or vehicle. Our whole lives are wrapped up in our wireless devices. These are our main sources of communication and much more. This means you have to stay connected, and cell phone boosters make it happen. Solid Signal is your signal booster expert. We carry a variety of today’s top devices, both new and refurbished. More importantly, our techs can answer any questions you have about these devices. Speaking of cell phones, we can help if you need a new device and want to switch providers. Solid Signal is an AT&T Preferred dealer with some great deals and promotions on the latest cell phone devices and wireless plans. Do you want to learn more about cellular signal boosters, cell phones, and wireless plans? Give us a call at 877-312-4547. You also can fill out the form below and a Solid Signal representative will get back to you within one business day in most cases.